Regarded as one of the central figures of the so-called Scientific Revolution, Copernicus (1473-1543) postulated a heliostatic theory in his De Revolutionibus Orbium Coelestium (1543). He did, however, maintain that planetary orbits were circular, and many believed that his system did not reflect the physical universe. Born in Torun, Poland, in 1473, Copernicus first studied astronomy and astrology at the University of Cracow (1491-94). Through his uncle, Lukas Watzenrode (1447-1512), who later became the bishop of Varmia (Ermland), he was elected a canon of the cathedral chapter of Frombork (Frauenburg). As part of his requirement as a canon, he matriculated in 1496 in the University of Bologna to study both canon and civil law. There, he lodged with and worked as an assistant to Domenico Maria the Ferrarese of Novara (1454-1504), professor of mathematics and astrology and also the official compiler of prognostications for the university. After briefly returning to Frombork, Copernicus studied medicine at the University of Padua (1501-3) and then moved on to the University of Ferrara where he obtained a doctorate in Canon Law (1503). He then returned to Varmia, where he was based for the rest of his life. He acted as medical advisor and secretary to his uncle at Heilsberg, and was later heavily involved with the administrative tasks in the diocese of Frombork. In 1514, the Lateran Council sought Copernicus's opinion on calendar reform. 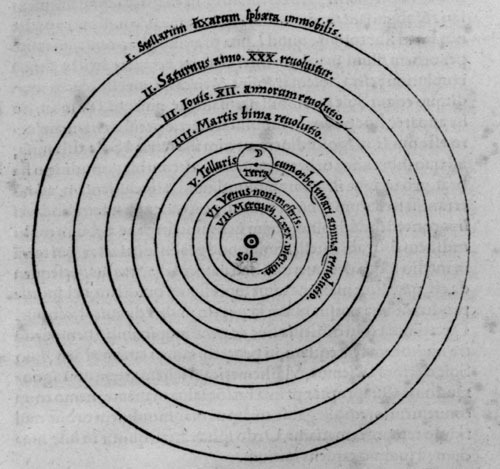 Around the same time, he began to circulate in manuscript the 'Commentariolus' (A Brief Description), in which he criticised the current Ptolemaic system for not adhering to the principle of uniform circular motions and offered instead his own system in which the earth and all the other planets rotate around the sun. 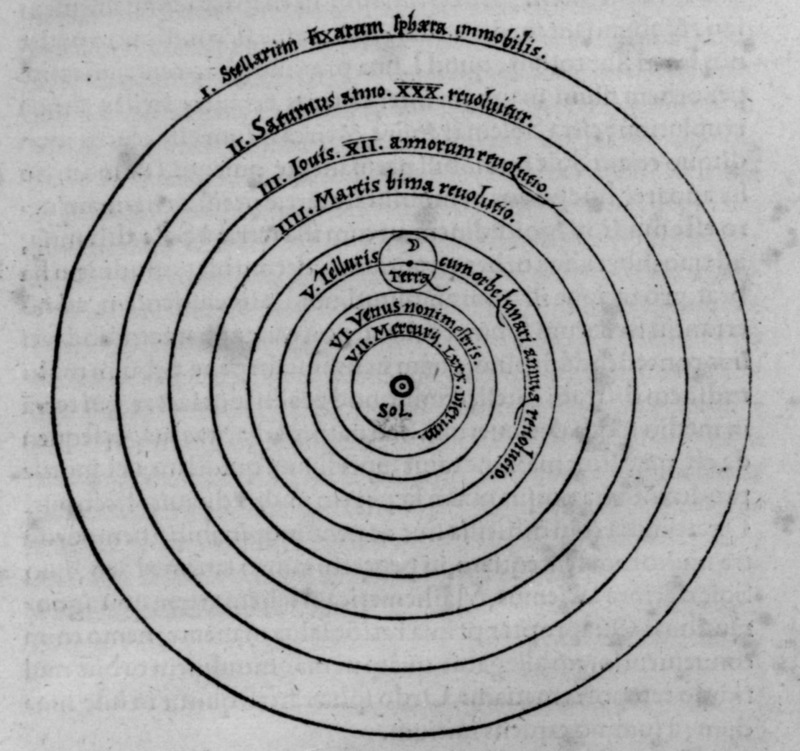 In the De Revolutionibus, Copernicus established the order of planets and proposed a heliostatic universe. Copernicus is often portrayed as a revolutionary figure who advocated a heliocentric system, overthrowing existing systems and institutions. Yet, his monumental work, the De Revolutionibus, is far from a revolutionary manifesto for modern astronomy. Copernicus is known to have carried out many observations (though he explicitly mentions only about 27), and none seems to have been crucial for formulating his theory. The work follows closely the structure of Ptolemy's Almagest, it is based on parameters and data from Ptolemy, and his dedication to the Pope is written in a fashionable style. He does indeed provide a model of the universe in which the earth and all the other planets orbit around the sun and the earth acquired a daily rotation, but the sun itself was not quite in the center of that universe. He established the order of planets and devised a system which accounted for the movements of planets without equants, but he was motivated by the desire to establish uniform circular motion, itself a classical ideal. 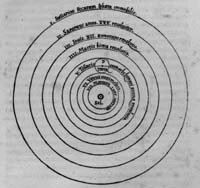 Copernicus certainly believed that this was the true system of the physical universe, but this conviction was not shared widely by his contemporaries for various reasons.